During his visit to the Giurgiulesti passenger port, the prime minister demanded that all hindrances should be removed in order to secure the passengers’ direct access to the port. Moreover, Filat asked relevant bodies to inform him about the number of Moldovan ships in the port. «The port should be competitive. There are great prospects in this respect, as well as opportunities to develop the ship transport on the Prut river,» the prime minister said. Vlad Filat also visited three terminals of the Giurgiulesti Free International Port. 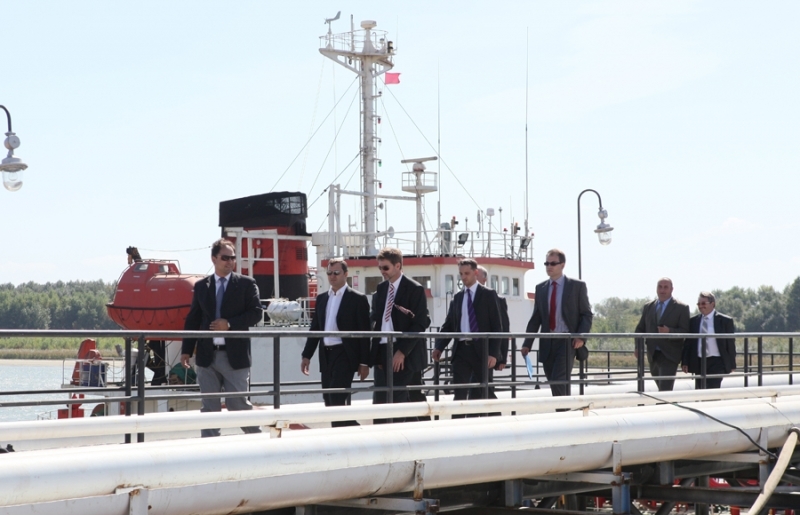 At the oil terminal, the prime minister witnessed how fuel was being loaded from tanks to reservoirs. Filat also visited the construction site of a cargo terminal, due to be opened in early November 2011. 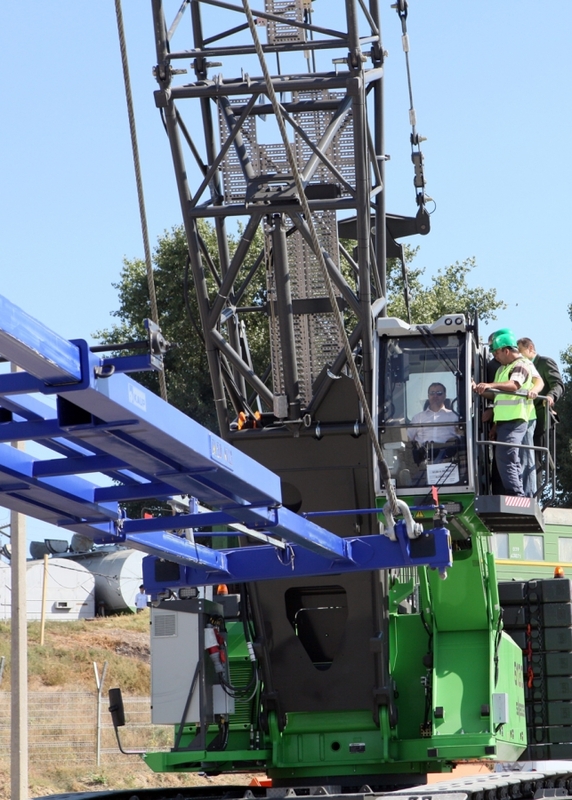 He praised the port’s recent acquisition — Moldova’s biggest crane, which can lift up to 70 tones. Filat was told that the machinery’s cost amounts to 1 million euros and that it had been brought from Germany. The prime minister personally tested the equipment. Also today, Filat visited the grain terminal. In the first quarter of 2011, about 172,000 tones of crops were transported via the terminal. So far, the main investor of Giurgiulesti Port has invested 47 million dollars. The prime minister expressed satisfaction with the situation at the Giurgiulesti Free International Port. «I like what I saw and the fact that the objectives set at the last meeting of the port’s leadership were met,» Filat said. The prime minister also expressed conviction that all the current problems would be gradually solved, including the ones related to the port’s infrastructure. In the context, the prime minister said that the reconstruction of the Chisinau — Giurgiulesti highway is under way, noting that the project amounts to 124 million euros. Filat also said that the first stage of the project is to be completed by the end of 2012, while the second part by the end of 2013. The prime minister added that the works on the Cahul-Giurgiulesti railway segment will be finalized soon, adding that thus, its capacity will increase from 1,000 tones to 3,000 tones. This will be the first railway link in the region, which will allow receiving trains both on European and post-soviet gauges. The chief executive of Danube Logistics and main investor of the Giurgiulesti Free International Port, Thomas Moser, thanked the Moldovan government for the support provided for the implementation of the project, noting that it would benefit everyone.